Coconut chutney is a South Indian side dish or condiment. There are wide varieties in coconut chutney . 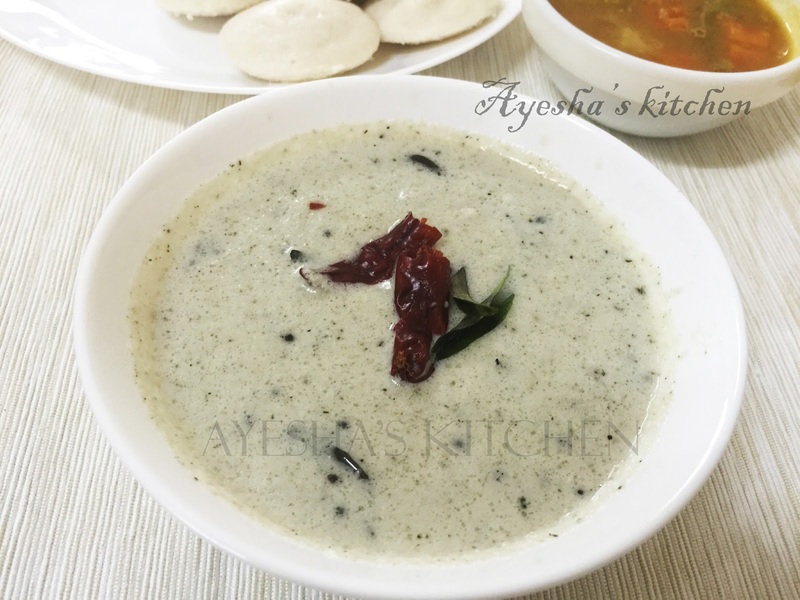 Here am sharing the most common and simple recipe of coconut chutney which is an excellent combination with idly and dosa. Grind together coconut, green chilies, shallots, 5 curry leaves, 1 tsp chopped coriander leaves and half a cup of water. Heat oil in a wok. Splutter mustard seeds and then add dried chili, curry leaves. When done, make the flame low and pour the coconut mixture into it. Add salt and few drops of lemon juice( do not add more..). Take off the flame when the bubbles appear. Do not let it boil.